Mr Demetriou was Chief Executive Officer of the Australian Football League from 2003 until June 2014, and has been the Managing Director of the Ruthinium Group (of which he remains a board member). 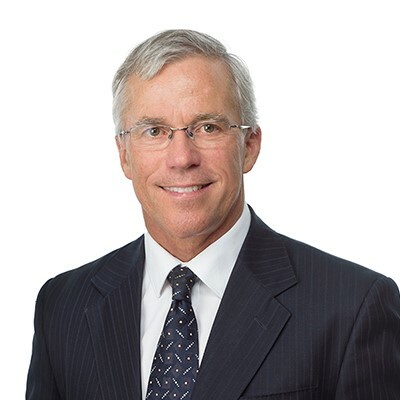 Andrew has also served as Non-Executive Chairman of the Baxter Group, and is a former Chairman of the Australian Multicultural Advisory Council. Mr Demetriou is a Non-Executive Director of Crown Resorts Limited (ASX:CWN) and is a Non-Executive Director of BetEasy Pty Ltd.
Mr Harrison is an experienced CEO and Non-Executive Director of both publicly listed and proprietary companies, across a range of sectors including healthcare (radiology and dental), resources, and the commercialisation of proprietary intellectual property. He has extensive experience in capital market transactions, including IPO activities, both local and international mergers and acquisitions, strategic restructuring and turnaround, and the management of distributed branch network organisations. He has held senior executive roles with Brambles Australia, been a consultant to Chubb Australasia, was Managing Director and a Non-Executive Director of ASX listed Neptune Marine Services Limited and a Non-Executive & Executive Director of Draig Resources Limited. Mr Harrison has also served as a non-executive director of Capitol Health (from December 2005 until October 2016). Nicole Sheffield is the Executive General Manager, Community and Consumer at Australia Post and is responsible for the retail network. Ms Sheffield was previously the Chief Digital Officer of News Corp Australia and was responsible for the company's digital revenue growth and strategy; audience and subscription growth; content optimisation and marketing; and digital product innovation. Ms Sheffield’s other previous roles include General Manager of Foxtel’s LifeStyle Channels Group, senior executive roles at Seven West Media’s Pacific Magazines and management roles in the multimedia division of Telstra. Ms Sheffield is a Director of Chief Executive Women (CEW) and was a former Chair of the Interactive Advertising Bureau (IAB) Australia Limited. She has a Masters of Business (UTS) and a Bachelor of Arts/Bachelor of Laws (Macquarie University). Mr. Loveridge served as a Corporate Group Partner of Herbert Smith Freehills Lawyers for more than 20 years. Recently he had Managing Partner responsibility for the National Corporate Group. He is currently a consultant to Herbert Smith Freehills. Richard’s experience includes capital raisings, mergers and acquisitions (including public company takeover and merger transactions) joint ventures, shareholder agreements, company reorganisations, and corporate head office and advisory matters. Mr Loveridge holds Bachelors degrees in Commerce and Law from the University of Melbourne, along with Graduate Diploma in Applied Finance from the Securities Institute of Australia. He was admitted as a Barrister and Solicitor to the Supreme Court of Victoria in 1988, and is also a council member of Scotch College in Melbourne. Melanie Leydin holds a Bachelor of Business majoring in Accounting and Corporate Law. She is a member of the Institute of Chartered Accountants and is a Registered Company Auditor. She graduated from Swinburne University in 1997, became a Chartered Accountant in 1999 and since February 2000 has been the principal of chartered accounting firm, Leydin Freyer. The practice provides outsourced company secretarial and accounting services to public and private companies. Melanie has over 25 years’ experience in the accounting profession and has extensive experience in relation to public company responsibilities, including ASX and ASIC compliance, control and implementation of corporate governance, statutory financial reporting, reorganisation of Companies and shareholder relations.